According to the Animal Legal and Historical Center at Michigan State University an emotional support animal (ESA) is a “companion animal that provides therapeutic benefit to an individual with a mental or psychiatric disability” (as opposed to a service animal, which is a dog that has been specifically trained to help people with disabilities). A variety of species, from dogs to cats to pigs to — apparently — turkeys, can work as emotional support animals, providing assistance to people suffering from anxiety, panic attacks, or other emotional disorders. Although ESAs can’t go everywhere, as service animals can, they are legally allowed to fly with their owners on planes (Most airlines require documentation of some kind and 24 hours notice). Critics have argued that, although there are certainly legitimate emotional assistant animals out there, some pet owners, without emotional disorders, have exploited the label “emotional support animal” in order to fly with their animals for free. In a 2014 New Yorker article, Patricia Marx recounted how she used a doctored letter from a therapist to take a variety of animals into usually-pet-free zones: A turtle to an art museum, an alpaca to CVS, and a turkey — perhaps a relative to the one in these photos? — on a luxury bus. Beyond these photos, we don’t know very much about this therapy turkey or its owner. There is so much I want to know: How, exactly, does the turkey provide emotional support? Does it snuggle? Does it make comforting warbles? 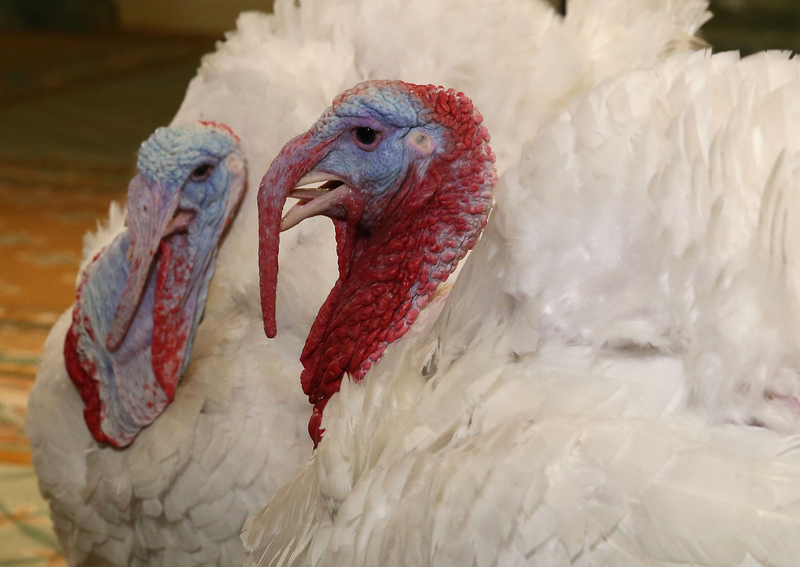 What does a turkey do for in-flight entertainment? What does a turkey order from the complimentary beverage cart? Would cranberry juice be too on-the-nose? * After boarding a flight just last week, the elderly gentleman across the aisle from me sat down, promptly removed his shoes and socks, and stretched his gnarly, bare feet into the aisle. He stayed like that for the next three hours. That’s strange, right? It’s not just me?